there is something about autumn that i simply adore. i love that first crisp, cool breath taken along with the lingering days. everything just seems to shift overnight. fall makes me want candles lit and the fireplace burning. it leaves me coveting cozy cashmere sweaters and long flowing scarves, worn the european way with long hair tucked in. the clothes are a bit more thought out than throwing on a slip dress in the summer heat beacause we have so many more options in the fall. this year's collections are spot on for my style. 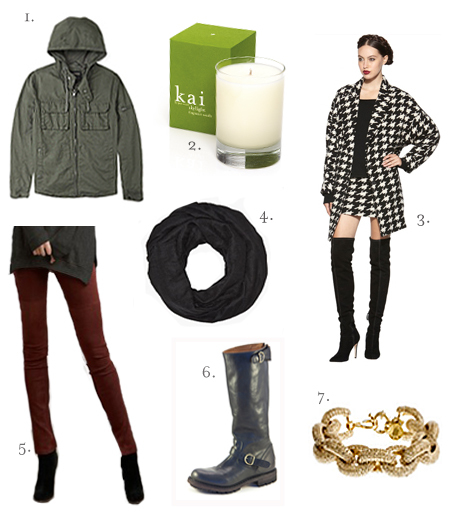 that being said, please enjoy my favorite things for fall.